Catalog + Label + Packaging Ecosystem. 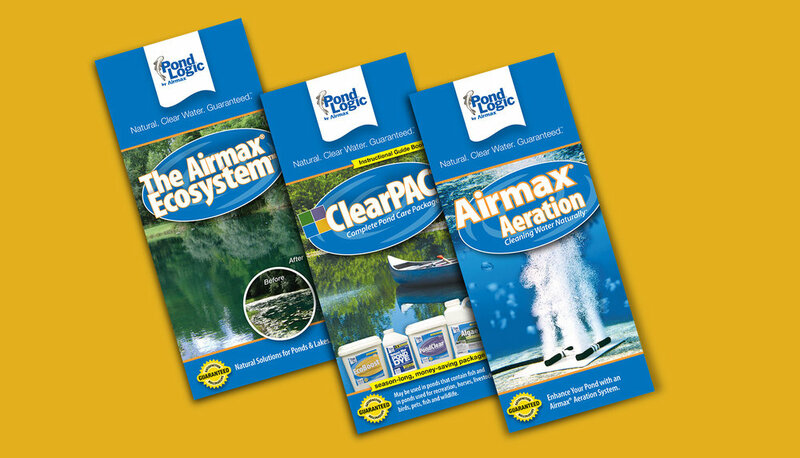 Rebranding and Repackaging for three brands: The Pond Guy / Pond Logic / Airmax. 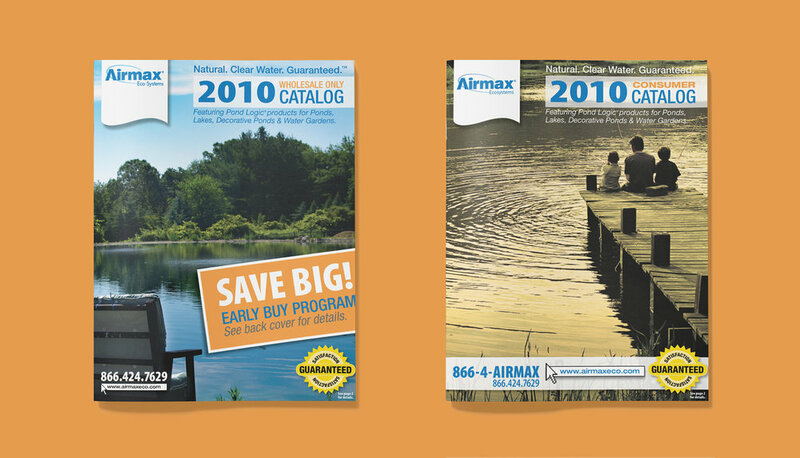 The catalog redesign helped boost web sales almost 48% up to $1.75-Million from $1.19-Million a year earlier! While this work was completed quite a while ago (2009-2010) in terms of design years, I'm still extremely proud to see these labels still in-use today — nearly 10-years later! I was recently at a local premium lawn and garden store here in Michigan, and came across a full display of all these labels; it was great to be reminded of how a label refresh can greatly impact a brand! 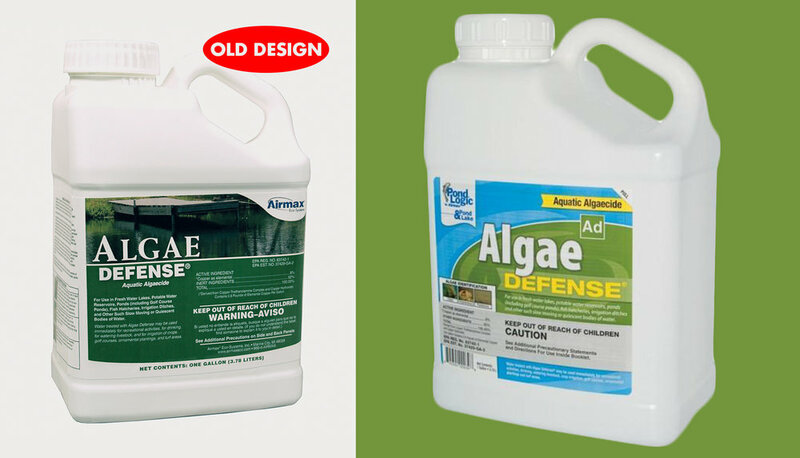 To say I knew nothing about ponds would be an understatement, but I learned enough to understand the product line and needs of the end-users to create packaging and labels that would be clear and make an impact. I used color and big, bold type to help easily identify each product. 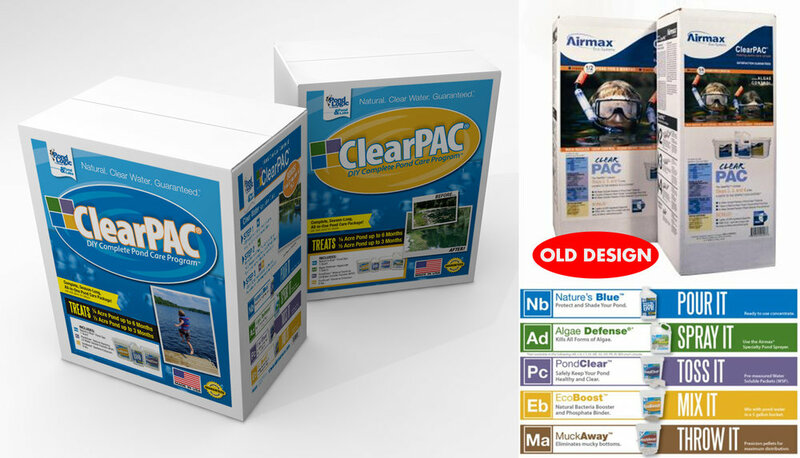 The Periodic Table-esque mini-logos for each product was created since the catalog of products was so vast and many were designed to work together, like in the ClearPac. 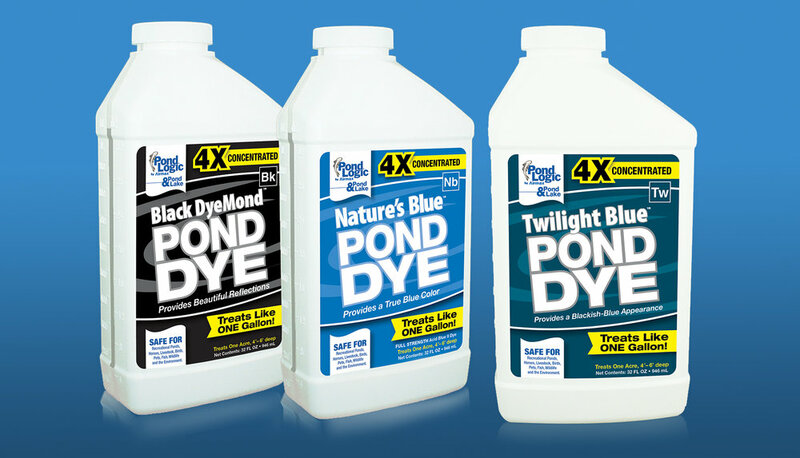 While working on the Pond Dye labels, a new color was in the works to sit between Nature's Blue and BlackDyeMond. They had the new color ready to go and needed a name to match, so I came up with the name Twilight Blue and it stuck. On a side note, getting to design pull out booklet information labels was a lot of fun and satisfying as a designer to know I was able to make something that's often overlooked to be clear, legible, and well-designed. 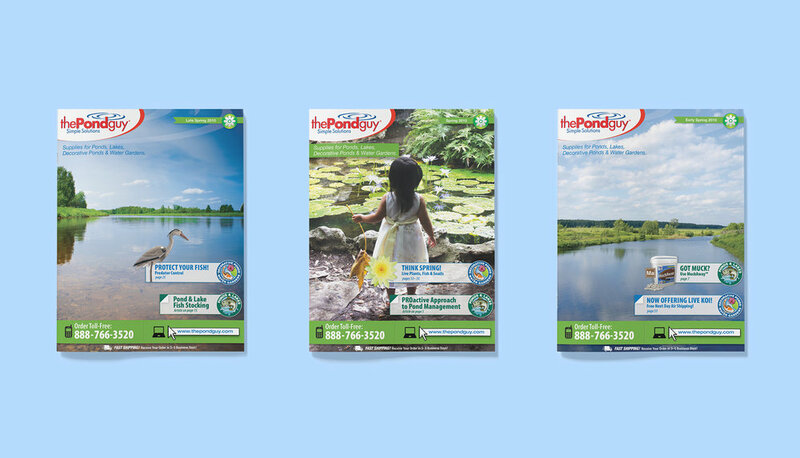 These packaging and label redesigns really helped put The Pond Guy over the top and solidify them as the industry leader and expert when it comes to all things ponds. Establishing a clear template for all future product labels to follow took the guess-work out of what they'd look like, but also helped to instantly validate their shelf space and web presence as a trusted brand. 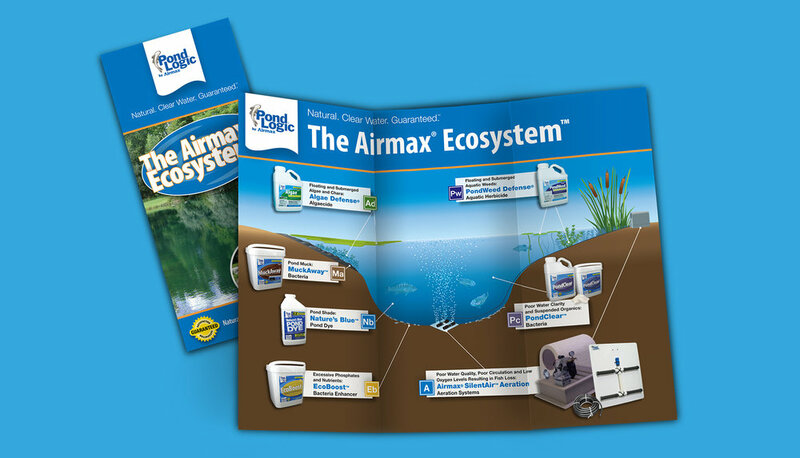 I worked on this project for about 15-months and revamped as many things as I could get my hands on across all three brands, so I'd say this was money well-spent for the client and glad I was a part of it! 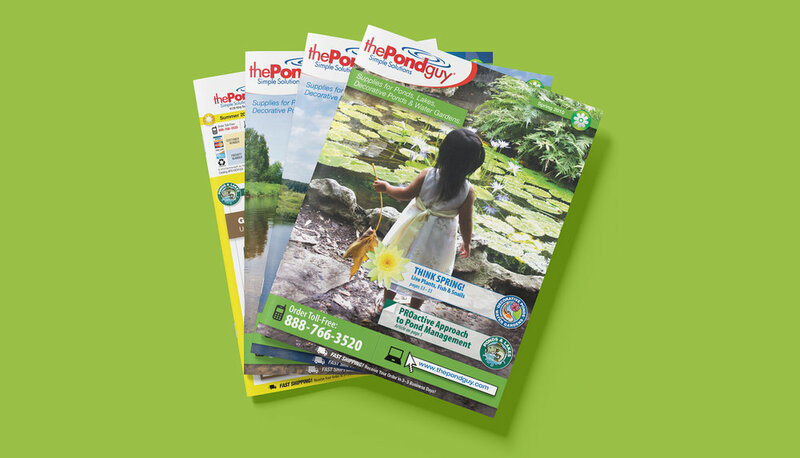 The print catalogs I re-designed received the Catalog Silver Award by Multichannel Merchant in June 2011 in the Home, Hardware and Gardening Products category for The Pond Guy, Late Spring 2010.